This is a childhood memory that keeps surfacing. I’m writing about it to better understand what’s happening, and because I suspect there is a point to the story worth sharing. My mother took me to the circus every year as a child. One year, I asked for a pet turtle instead of the chameleon I usually begged to take home as a souvenir. It occurs to me that I may have chosen the turtle because I did not want to go through the trauma of the chameleon dying for one reason or another within two weeks of bringing it home. I watched my little turtle walk in circles around the plastic gulley of his cage for a few weeks. Occasionally, he would climb the ramp to the tiny plastic island in the center of his domain to bask under a green, plastic tree. After a few weeks of watching the turtle walk around, feeding him daily, and occasionally taking him out to play on the cork floor of my room, I grew bored with the little fellow. I think my waning interest was the result of the turtle’s boredom rubbing off on me. I can’t imagine he found his life interesting, trudging around in a small plastic tray day after day, with nothing to look forward to besides a few grains of dried turtle food. Then I did something unusual. I decided to set the turtle free. I have no idea why I came to this decision. It might have been out of admiration. The turtle refused to die, unlike my pet chameleons. Looking back on it now, it is likely the little guy had some heroic qualities, or was born with his sun in Jupiter. 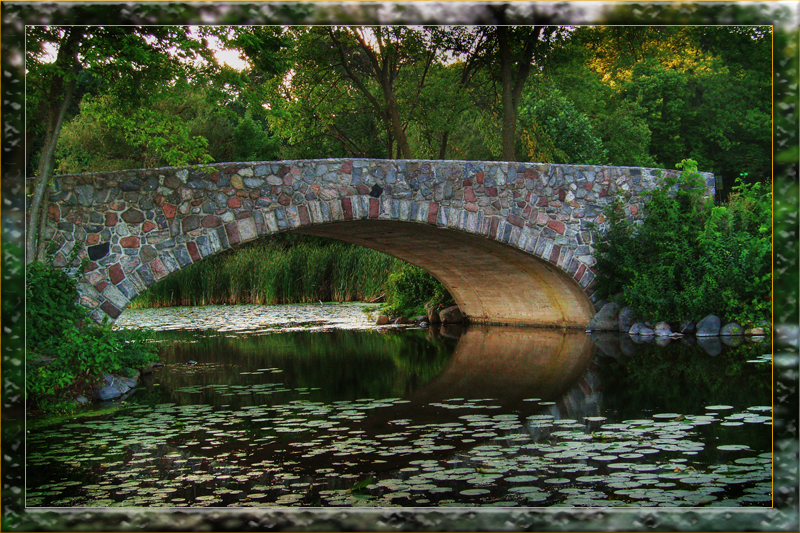 I took the little turtle to a favorite play spot; a stone bridge overlooking a pond tucked away in a corner of my neighborhood. Here, I let the turtle swim out of my hands, hoping the little guy’s chances for survival in the wild were better than dying of boredom from circling a plastic dish endlessly in my room. Six months later, while playing near the brook, I spotted the turtle sunning himself on a rock. I knew circus turtles came from some far-away place. They didn’t look like the other wild turtles living around the brook-pond in my neighborhood. And this guy had the distinctive markings on his chest characteristic of circus turtles. This turtle had to be the little guy I let go only he wasn’t little any more. He had grown at least four or five inches in diameter and his shell had turned up at the edges due to this growth spurt. My little circus turtle had flourished in the wild. I’d like to say he looked happy, but I really can’t remember, and it’s probably hard to tell what turtles are feeling under any circumstances. But my turtle had obviously survived and prospered. It’s a fair bet his life was more interesting than the dreary one he led in captivity. Why am I writing this? Perhaps to understand this recurring memory is my soul speaking to me in a parable. My soul is imploring me to get out of my plastic turtle cage, to explore, to grow, to get out of my little rut. Actually, this blog helps me to climb out of my turtle cage. So, thanks for being there. Thanks for reading. *The rocket belt didn’t work. I had to return it.